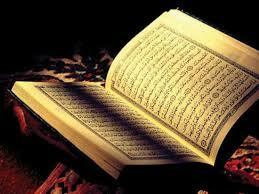 “During the time of the Prophet, the chapter of the Parties used to be two hundred verses when read. When Uthman edited the copies of the Quran, only the current (verses) were recorded” . Notice Aishah says that Uthman EDITED the Quran. What did he do to Allah’s words? Why is there a need to “EDIT”, if the Quran has always been perfect and unchanged? What was EDITED and what was not? The best reciters forgot an entire surah? Ubayy bin Ka’b, one of the great companions of Muhammad was the best reciter of the time but the Quran edited by Uthman apparently left out some of his recitations. What was left out? Ubayy was asking about Sura 33, Surah Al-Ahzab. In today’s Quran, this Surah has 73 verses. According to Ubayy bin Ka’b the best reciter of the time, this Surah used to have about 280 verses and almost equal in length with the longest Sura in the Quran today, Al-Baqara. What happened to more than 200 ayat Missing from Sura 33? “The fornicators among the married men (ash-shaikh) and married women (ash-shaikhah), stone them as an exemplary punishment from Allah, and Allah is Mighty and Wise,” was originally found in Surah al-Ahzab. But this verse does not exist in the Quran today! This verse, along with verses regarding adult breast-feeding, are also lost. What happened to them? The loss of the stoning verse is confirmed by Caliph Umar in Sahih Bukhari. Surah al-Taubah was found with one person only. But the rule was: Zaid was only supposed to write down what was confirmed by at least TWO of Prophet Muhammad’s Companions. He wrote this verse down even though only one person had any memory of it. Surah at-Tawba today has 129 verses. An entire Surah equivalent in length to this Surah 9 was “lost”! That’s 129 verses missing! That’s not all. Apparently Sura at-Tawba itself is missing some verses. 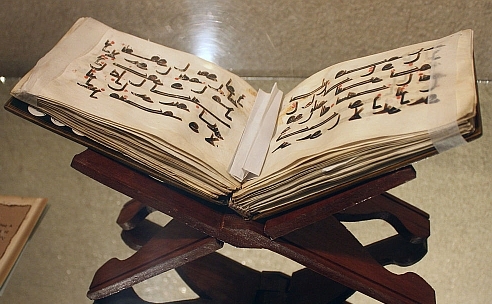 Sura of the Cow (al-Baqarah) is the longest chapter with 286 verses. If Surah 9 also used to have 286 verses, then 157 verses are missing because this Surah only has 129 verses today. You can search the entire Quran. Such a surah containing such a verse is not found in today’s Quran. Finally here’s a story that will shock you. One of Muhammad’s personal scribes was Abdullah Ibn Abi Sarh. He would write down the prophet’s recitations faithfully. One day while writing what Muhammad was reciting, Abdullah Ibn Abi Sarh stopped him and made a suggestion regarding the verse. Instead of censuring his scribe for his insolence, the prophet agreed to the changes and said “write whatever you like”. This troubled Ibn Abi Sarh. If Allah had given the specific words to Muhammad, how could Muhammad allow it to be changed to write whatever he (Ibn Abi Sarh) liked? The faithful sccibe was disillusioned. He exposed the prophet as a liar and a fake. He left Islam and fled to Mecca. Muhammad realizing he could be in trouble if Ibn Abi Sarh’s story came to light immediately received a new verse Sura 6:93 which condemns his old scribe as a liar, a wrongdoer and arrogant and promised a “punishment of extreme humiliation”. Later when Muhammad came to conquer Mecca, guess who was the #1 on his hit list, to mete out the “punishment” ? The scribes of Muhammad were 42 in number. `Abdallah Ibn Sarh al-`Amiri was one of them, and he was the first Quraishite among those who wrote in Mecca before he turned away from Islam. He started saying, “I used to direct Muhammad wherever I willed. He would dictate to me ‘Most High, All-Wise’, and I would write down ‘All-Wise’ only. Then he would say, ‘Yes it is all the same’. How many Surahs were there originally? Today’s Quran, the version edited by Uthman, the 3rd Caliph, has 114 Surahs. The best reciter during the time of Muhammad, Ubayy bin Ka’b, a close companion of the prophet, had his Quran had 116 Surahs. The two extra Surahs were al-Hafd (the Haste) and al-Khal’ (the Separation). These are not found in today’s Quran. Ubayy also combined Sura 105 and 106. That’s not how it is arranged in today’s Quran. Don’t forget this man as the best reciter! Did he get it wrong? The most trusted companion of Muhammad, Ibn Masood, has his Quran at around 110 Surahs, omitting Surah 1, 113 & 114, which are included Uthman’s Quran. Why? Uthman, as we all know, of course, ordered every other version of the Quran burnt. Why would he do that? To snuff out all the evidence? If the Quran had been perfectly preserved from Allah, as claimed by Muslims, why were there all these different versions in the first place? And please note that these versions were not by some impostors or forgers, in which case burning them could be justified. But these were the most trusted and loyal companions (sahaba) of Muhammad himself, the very ones the prophet had entrusted with the words of the Quran! How do we know Uthman did not destroy the real Quran in his haste to declare that his version, the one compiled by Zaid ibn Thabit, was the correct one??? “The people have been guilty of deceit in the reading of the Qur’an. I like it better to read according to the recitation of him (Prophet) whom I love more than that of Zaid Ibn Thabit. By Him besides Whom there is no god! I learnt more than seventy surahs from the lips of the Apostle of Allah, may Allah bless him, while Zaid Ibn Thabit was a youth, (before embracing Islam) having two locks and playing with the youth”. Basically, Ibn Masood, the most trusted of Muhammad’s companions (sahaba) was condemning Uthman’s Quran (which was compiled by Zaid ibn Thabit) and rejecting it as corrupt and incomplete. Were All The Verses Remembered Perfectly? Even the Prophet Muhammad did not remember the verses correctly. And they were reciting it differently. If the prophet and his companions are forgetting verses, reciting it differently, how can it be said that the Quran is unchanged? There are missing verses. Entire surahs lost because they were forgotten or simply eaten by a goat.